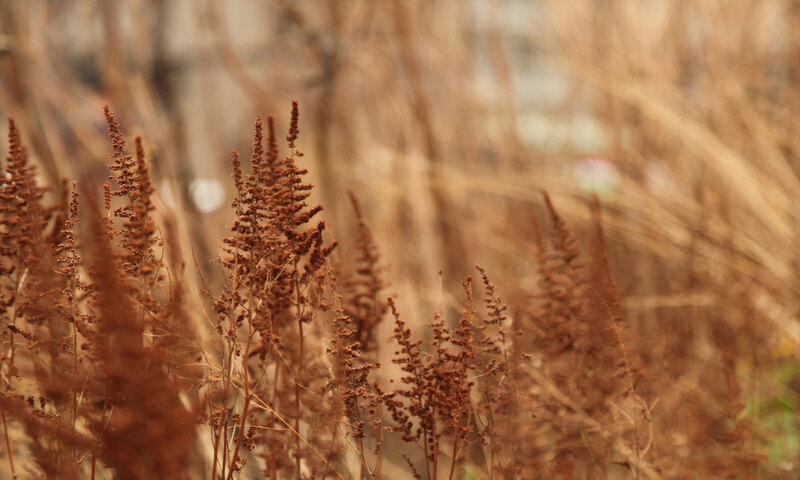 Open Visual Web Developer and go to File > New Project. Under Project Types select Visual C# > Web. 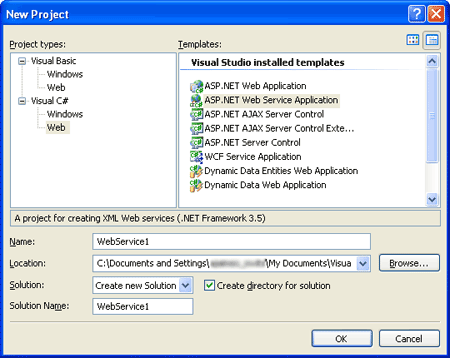 Under Templates select ASP.NET Web Service Application. Press the Ok button. 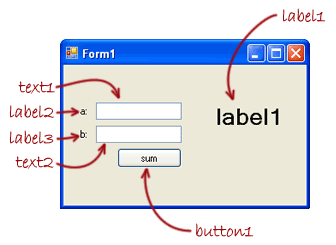 By default, Visual Web Developer will create a Web Service and a HelloWorld operation (method) in it that returns a string. Notice the [WebMethod] annotation. It lets Web Developer know we are adding a web operation and it must do all the required stuff to publish it. We are now ready to run the web service, so press the start button and don’t stop it. Visual Web Developer will open an Internet Explorer window that shows your Web Service description. Copy the URL you see there, since you will use it later. 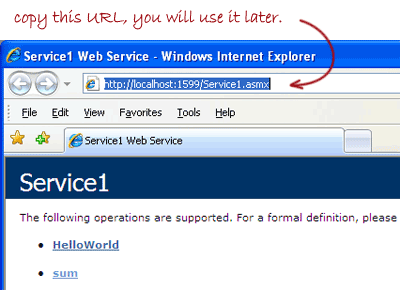 Don’t close Internet Explorer since that will stop your web service too! Open Visual C# Express and go to File > New Project. 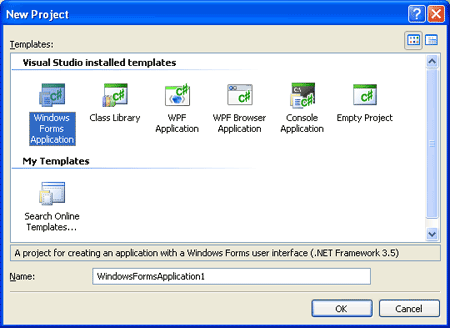 Under Templates select Windows Forms Application and press Ok. 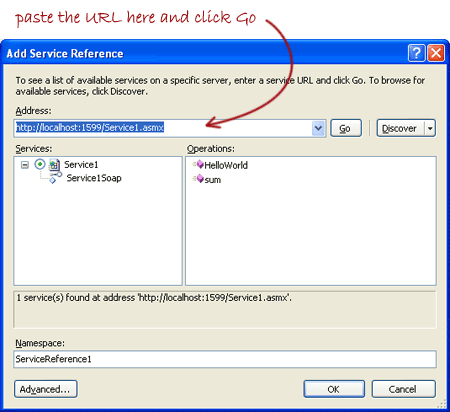 Paste de URL you copied from Internet Explorer in step 1 and press the Go button. 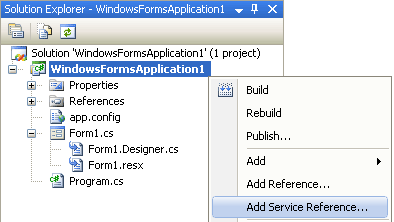 If everything goes ok, you should see the HelloWorld and the sum operations listed in this window. Press Ok to continue. 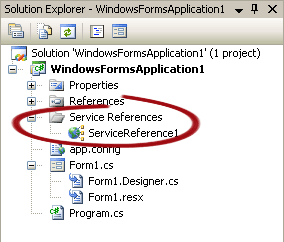 You should now have a Reference to your Web Service in your Solution Explorer named ServiceReference1. 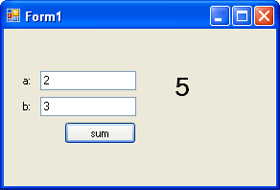 Click the start button to start using your applicationâ€¦ write some values in the text boxes and click the sum button. Your application will pass the parameters to the web service and will show you the result.